We're a society on the go, and the one thing we refuse to leave behind is our tunes. Whether it's in the car or on foot, in the air, or on the subway, our music always comes with us. The question is, what is the best delivery system for music on the go? Headphones or earbuds? Earbuds cost less than full headsets. Earbuds are also smaller and fit more easily in a pocket. They happen to be quite convenient for literal on-the-go listening, too: when the body is in motion, earbuds tend to stay in place. The downsides are that they can be fragile, don't replicate bass notes with authenticity, and don't filter outside noises well. Thus most users often so crank up the volume, which can be dangerous to the ears. Headphones have their downsides too. They can be heavy and bulky, and can flop around on your head and get quite warm during exercise. They can also make a mess of your hair. On the other hand, they do a much better job of presenting music the way it was meant to be heard, especially pieces with strong bass sections. Headphones are also better at blocking out street noise via noise-canceling technologies. 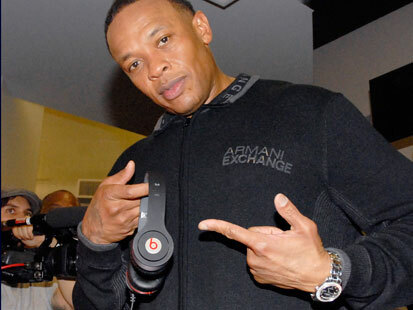 A recent and major name in the headphone world has been the Beats line, developed and marketed by the noted rap entrepreneur, Dr. Dre. Certainly his name has helped sell his headphones, but his 'phones have also been seen on the heads of many famous NBA stars including as LeBron and Kobe. But are they right for you? 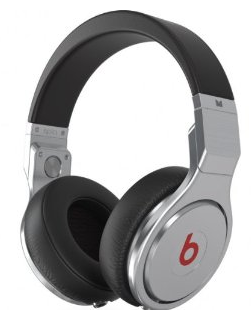 Before we review the Beats line, understand what critics almost uniformly state about these headphones: the sound is skewed to provide very strong bass, which is great when listening to club music, hip-hop, rock, and rap, but not such a great balance when listening to other kinds of music. If you want to get your funk on, these headphones are ideal, but if you want to escape with Bach, you might look to a different brand. The Beats line is known for its stylish, minimalist design, and the Solo is no exception, even as the least expensive headphone in this lineup. CNET liked its compactness and durability, as well as the inclusion of an integrated microphone on the cord that allows the wearer to receive phone calls. And though TechCrunch thought the strong bass response resulted in a muddled middle octaves, the review appreciates that same bass response when using these headphones for video gaming. Originally created for DJs, GadgetReview described these 'phones as "dripping with elegance and style," and found the fit comfortable and not particularly heavy as they ring in at slightly less than half a pound. As with other headphones in the line, the Mixr comes with cable controls that allow the user to manage the volume and skip songs as well as take calls. A very handy feature of this set is its dual cable input, allowing for easier access across turntables without having that annoying cable hanging in the way. Hate the cable all together? The Beats Wireless headphones use Bluetooth connectivity to ditch the cord that tethers the headphones to a device. The control haven't gone away though: they've moved to the right ear cup, where the user can pause or play, move forward and backward, and crank up the volume. The downside? They have a battery that must be recharged. PCMag found that while the ear cups were well padded and comfortable, the headband wasn't as cushioned and became annoying. However, those who love strong bass can enjoy being such "without sacrificing too much clarity." While the Beats line seems to have begun with the club in mind, it has transcended that market to supply style and sound to the business traveler. 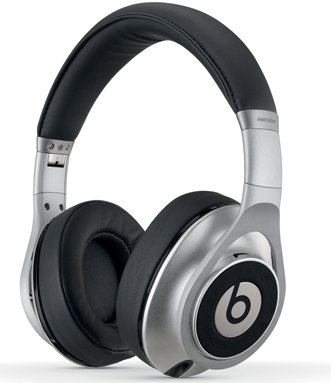 The Beats Executive are "incredibly comfortable" and portable, says PCMag. This set, like all the Beats, folds down into thirds and employs noise cancellation technology, which "detects ambient noises" then "reverses the phase of the sound waves, which cancels them out." In other words, when done right, these headphones can muffle the sound of a jet's engines (from aboard an aircraft) and allow your Ke$ha to come through loud and clear. Also contributing to the sound isolation is the around-the-ear design, rather than on-the-ear. Unfortunately, a common downside to noise cancellation is an annoying hiss, and the Executive is no different. Another catch with these headphones is that they run on two AAA batteries, which give the set an estimated lifetime of 25 hours. 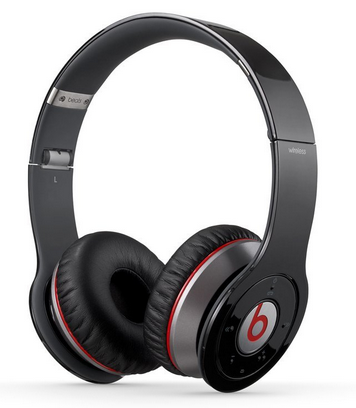 Originally designed for musicians in the studio to get a true listen to tracks as they are laid down, this pair of Beats features noise cancellation and the trademark minimalist design. 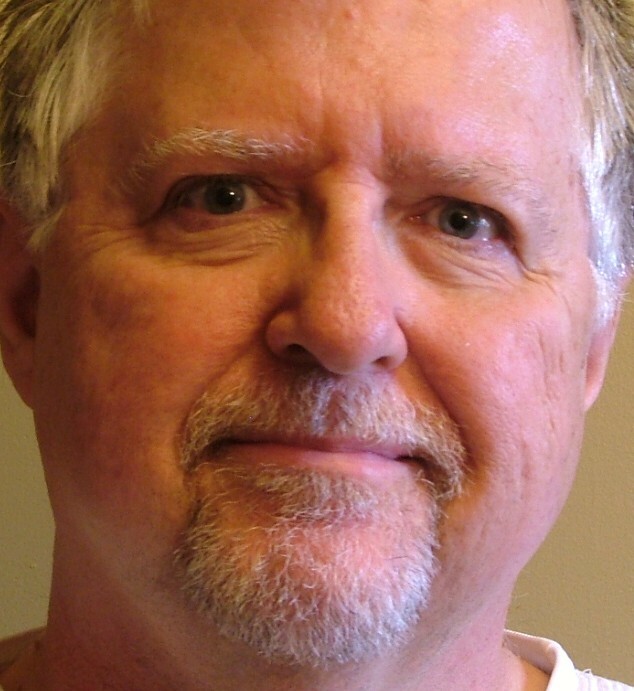 Digital Versus found that they are comfortable and lightweight, soft on the ear, and not too binding on the skull. As far as sound is concerned, these 'phones have highs at both ends of the sound spectrum, with a spike in the soprano range, yet the bass was "dull and draggy." So those who appreciate a crisp, albeit loud, bass line might be disappointed by the Studio phones. The on-ear Studio model is also powered by AAA batteries. 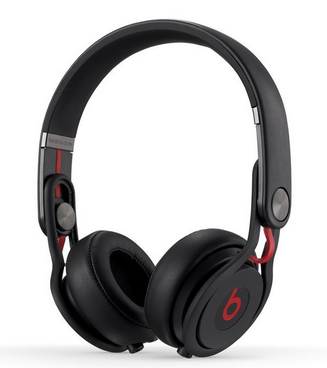 The flagship of the Beats line is are the Pro headphones, recognizable by their brushed aluminum gunmetal frame and overstuffed leather ear cups. As with the Mixr, the cable on the Pro plugs into either ear cup for convenience, and allows these headphones to be "daisy chained" letting another headphone wearer plug in and listen along. These headphones feature swiveling ear cups that make removing the headset unnecessary when engaged in conversation. The bulletproof construction has a downside, though: the 'phones are heavy at 14 oz. and a bit tight for those with larger craniums. As far as the sound goes, a DJ Booth review found that even at max volume, the Beats Pro didn't show signs of sound degradation. The sound is pure, since no noise cancellation is included in the on-ear Pro. The Pro also doesn't require batteries. 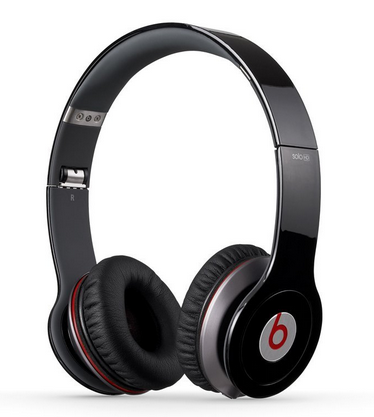 In general, reviewers of the Beats line of headphones concluded that there are other headphones on the market at lower price points that may provide the same aural quality. Since listening is such an individual experience, though, it might be worth a trip to a store that stocks several brands and models to give them a test drive before buying. 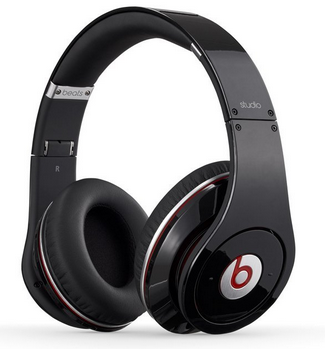 Then, of course, set up an email alert back to be notified of the best prices on Beats headphones. Tom Barlow formerly wrote for AOL's WalletPop and DailyFinance, and in addition to his dealnews contributions, he currently writes about lifestyle topics for Forbes.com. Pretty much when im on my college campus and I see someone blasting music in their car and all I hear is the bass I suggest they pickup a pair of Beats by Dre. That seems to be why everyone likes these headphones... im personally more of all sounds in general kind of guy and actually like to hear my music and in my mind the gold standard is either a nice pair of Klipsch or Sennheiser - Sennheiser has some really nice stuff but sometimes a bit pricy. 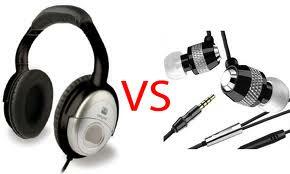 I tend to have more Sony earbuds for my mp3 player(s) and a pair of Sony MDR-V600 for my home pc and I love them. I will never buy a pair of Beats by Dre though. You can determine a persons level of gullibility by their ownership of a pair of Beats headphones. The sound quality is sub par by every standard in their price class, so you're buying into a marketing scheme, not quality sound equipment. If you're listening is primarily to show off how much money you're willing to throw away, then by all means, head on down to Best Buy and pick up a pair. If, however, you want headphones for quality sound, you could easily start off with a pair of Audio-Technica ATH-M50 ($100-$150 online), Ultimate Ears TripleFi ($200-220 online), Sennheiser HD598 ($250) or HD650 ($500). While I love that DealNews is focused on getting some articles up here, this feels more like product placement than any sort of real advice. I'd much rather see these sort of topics covered by someone who has a solid understanding of the subject.